Architect studio based in London, UK Piercy Conner are famous for coming up with the 'microflat' PiercyConner : London Architects Piercy Conner is an international architectural practice currently working on Symhomes Mk1 in Indian; Kortrikj in Belgium; Turnmills in London and the 2012 Olympic Village. Based in Shoreditch, London, the ten-strong team work on a broad range of projects from social housing and regeneration to residential and commercial. 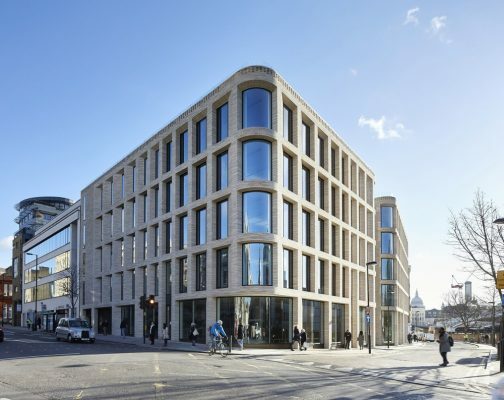 Over the last decade since its foundation in 2000, Piercy Conner Architects has attracted critical acclaim and numerous international awards including the MIPIM AR Future Project Sustainability and Corus AJ 40 Architects Under 40. Unfettered by a studio style, Piercy Conner designs by assessing and responding to the unique characteristics of each project. The result is a diverse portfolio of work ranging from the ethereal to the earthy depending on the needs of the site. While visually disparate, each building is connected by an underlying philosophy to create bespoke solutions for the built environment. November 12, 2014 in Architects.